Regular readers of our blog know that at the Driscoll Law Corporation our specialty is Social Security Disability Insurance (SSDI) and Supplemental Security Income (SSI). Each week, we work tirelessly to ensure our clients can access financial security provided by the Social Security Administration. 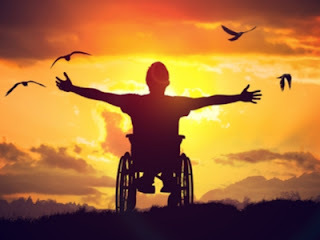 Such people, more times than not, are individuals who have either experienced a debilitating injury or they have received a diagnosis for a disorder; in both cases, one's ability to maintain financial independence is a real challenge. In the United States, there is a significant number of people who have negative opinions about Federal and state assistance programs. What’s more, there is a serious stigma toward people who receive benefits like SSDI and SSI; many people have the mindset that some benefit recipients are lazy and are bilking a flawed welfare system. Sadly, the previously mentioned outlook is flawed, to say the least; in fact, the average benefit recipient would like nothing more than to go back to work. In 2017, The Washington Post analyzed the increase of disability programs in rural America. The news organization published a series of stories shining a light on the subject matter. Naturally, people from around the country who are living with disabilities gave their feedback; they shared about the stigma surrounding disability benefit recipients. Through correspondence with such individuals, WAPO gleaned that many SSI and SSDI recipients muster the strength to work part-time or volunteer their services; in doing so, they can continue contributing to society and live productive lives. The best way to erode stigma is to accurately represent the lives of people living with conditions that prevent full-time work. In doing so, we encourage people who aren’t living with a disability to exercise compassion. When that happen, people vote in favor legislation that helps people rather than harm the most vulnerable of Americans. Below you will find a snapshot of the lives of a couple of individuals who receive SSA benefits; you will see that these people are not lazy, it’s the opposite in fact. “I’m very active at the U.S. Department of Veterans Affairs, and participate in two different research projects there. That’s been helpful for me, because I think one of the things I really struggle with is finding a method to give back that doesn’t kill me." Disability can impact anyone for many reasons. Just because someone receives financial support, doesn’t mean that they lack the desire to work or give back to society. Some disabled people collecting SSI or SSDI work more than many non-injured Americans. Attorney Stephanie Driscoll assists people with the lengthy and complicated process of applying and qualifying for disability benefits. If you or a loved one’s claim received a denial, we could help you appeal the decision. Please contact us today.